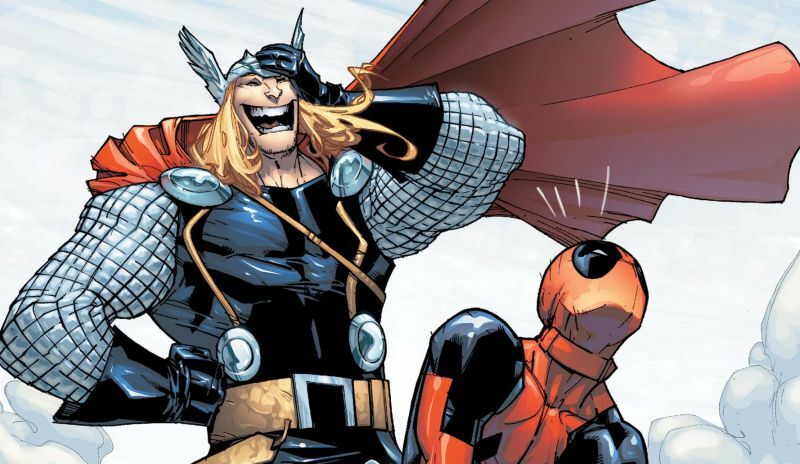 The Avengers might have a new and very mouthy component soon, as the Mighty Thor has welcomed Ryan Reynolds’ Deadpool to Marvel Studios via his Instagram. Fans worried that the Fox Marvel characters wouldn’t survive the merger with Disney can truly breathe a sigh of relief. Deadpool has also appeared on Disney’s new homepage alongside the likes of Captain Marvel, Bart Simpson and characters from Avatar. Now, Chris Hemsworth has posted a cheeky image on Instagram of Deadpool wearing Thor‘s helmet with Disney’s iconic logo on the background, plus an Avengers’ symbol on the chatty superhero’s suit. The caption reads “Our love child,” tagging Reynolds. It is unclear if and when Wade Winston Wilson’s alter ego will join the Marvel Cinematic Universe, though Disney CEO Bob Iger has made it clear that it’s an avenue they will definitely go down. Hemsworth’s Thor however will make his return this spring in the upcoming Avengers: Endgame. Avengers: Endgame hits the theaters on April 26. When do you think Deadpool will join Disney’s Marvel Cinematic Universe? Share your predictions in the comments section below.